At issue: President Donald Trump�s proposed border wall. He wants Congress to commit $5 billion for construction of a wall along portions of the U.S.-Mexico border. It may be now or never for Trump�s wall. In the next Congress, presumptive House Speaker Nancy Pelosi will be able to kill any of Trump�s legislative priorities. At present, Trump faces obstacles in the Senate, where Democrats seem intent on blocking wall funding. If both sides can�t agree to a spending bill by Friday, then a partial government shutdown could ensue. The true budgetary crisis facing Washington isn�t the threat of another shutdown, but the threat of business as usual resuming in Congress. When Democrats take power next year, you can bet spending restraint won�t make their list of priorities � especially since a new crop of avowed socialists (see Alexandria Ocasio-Cortez) will be seated among their ranks. That�s a whole lot of debt coming due! In fact, it�s 2.7 times as much debt compared to 10 years ago, when a much more manageable $3.4 trillion was slated to mature in four years. To make matters worse, interest rates are trending higher. Yields on the 10-year Treasury note currently come in at just over 3% � not particularly high historically, but much higher than they were a couple years ago when they spent most of 2016 below 2%. Shorter-term rates, meanwhile, continue to get pumped up by the Federal Reserve. The 1-year Treasury now sits at 2.7% � its highest level in a decade. Fed officials seem intent on taking their benchmark rate up to at least 3.25% in 2019. Whether they�ll get there remains to be seen. But if they do, it will pressure Treasury yields higher and increase the government�s borrowing costs. The $9.2 trillion coming due in the next four years can�t be paid down and retired, of course. It will instead get rolled over. 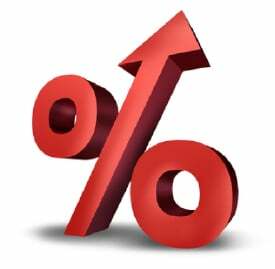 The Treasury Department will issue new debt at whatever the prevailing interest rates are. 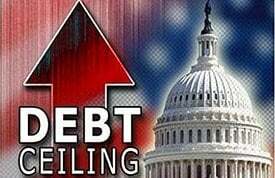 Big spending politicians know the Fed ultimately won�t let the U.S. Treasury default on its debt. That�s why politicians don�t feel any particular pressure to tighten their belts. That�s the moral hazard created by our fiat monetary system. According to metals analyst Steve St. Angelo, the total value of all gold and silver mined in 2018 comes to $151 billion. That�s less than one-fifth of the federal budget deficit for fiscal year 2018 ($779 billion)�and a miniscule fraction of the $21.7 trillion official national debt.